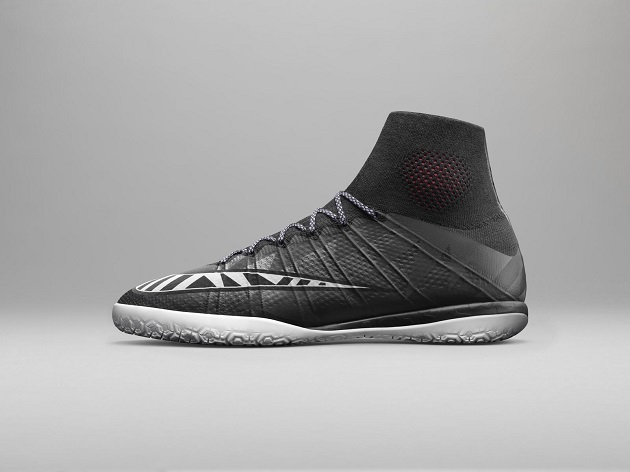 You thought the Elastico Superfly was revolutionary? Well, Nike has something new in store for you. 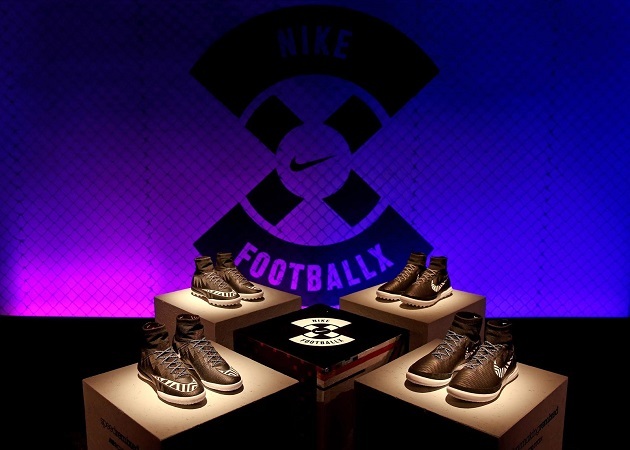 It’s called NikeFootballX – and it will no doubt alter your perception of the indoor and turf game. These days, the small-sided game is as significant as ever for up-and-comers looking to refine their skill. 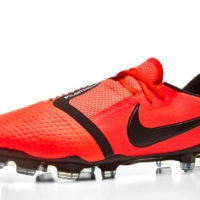 Nike realizes this, so they have fashioned two brand new boots: Nike MercurialX and Nike MagistaX. In a “Street” colorway, the stealth black and white looks both classy and fierce. Very subtle geometric reflective graphics adorn the upper, while the black and white laces and Swoosh enhance the stylish feel of these boots. A red-pink hue spices things up on the inside lining, visible through the collar on the MercurialX. The “X” in the name represents the combined number of small-sided players in five-a-side soccer. These shoes are supposed to be versatile enough to handle games of diverse sizes and surfaces. The materials used in the construction should prove this. 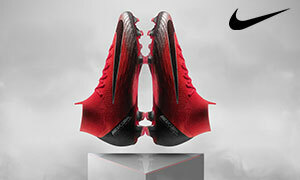 Both NikeFootballX boots feature Nike Grind, which is recycled rubber used from old shoes. 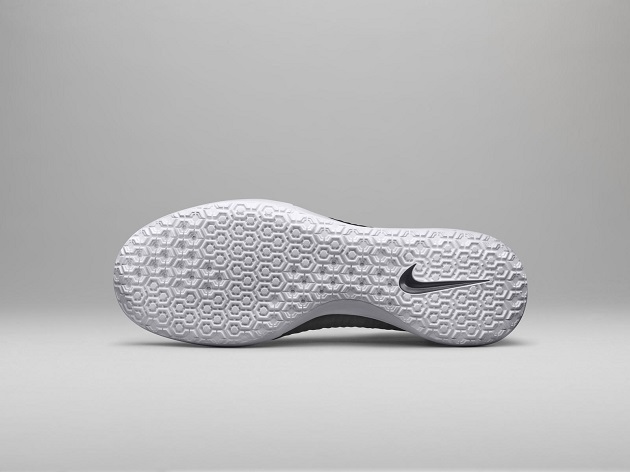 Long-lasting wear is the goal here, because Nike Grind is used on areas that are exposed to the highest abrasion and drag. 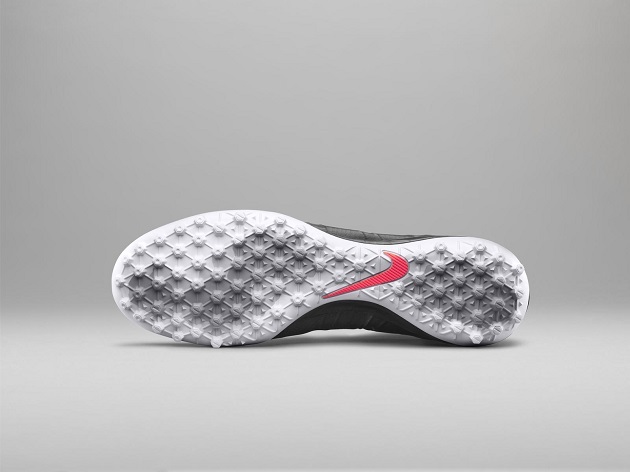 On the MagistaX, the Lunarlon midsole stands out, as it is thicker than the MercurialX midsole. If you’re not familiar, Lunarlon is utilized by Nike in many of their running shoes, because of its excellent cushion and response. A soft, resilient foam core is surrounded by another, more supportive foam case. This makes for a lightweight, springy cushion that keeps you fleet-footed and comfortable. 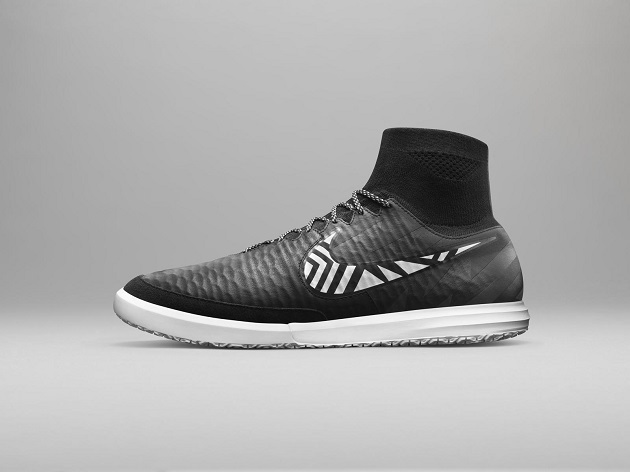 On the MercurialX, the Lunarlon is replaced by Phylon, which is less bouncy, but allows for a low-to-the-ground feel that makes your cuts quicker, an important aspect of short-sided soccer. Similar to their firm ground cleat counterparts, the Mercurial is more about pure speed, while the Magista is designed for the cheeky playmakers out there. Both the MercurialX and MagistaX have indoor and turf versions approaching on the horizon. Unfortunately, that horizon is on April 1st, when these go on sale. May these be the fastest two months ever.